Slots are one of the most thrilling casino games you can play online, and today, players can choose from thousands of different games at hundreds of slot sites. Exciting bonus rounds, progressive jackpots, and big win potential are just a few of the reasons to play. In this post, we’re going to take a look at what slots are – the different types of slot – how you can begin playing online slots for real money, along with a ‘jargon-buster’, so you can understand what you’re actually doing, when you play. We’ll also show you what to look out for when trying to find the best online slot site that offers you everything from the best bonuses, fast withdrawal times, to an excellent selection of games for you to choose form. To begin this online slots guide, we’re going to take a look at what a slot is – and in the following section we will take a look at some of the different types of slots available to you today. So, what is a slot? Well, a slot is a type of game where you pay a certain amount of money per spin, with the aim of matching certain combinations on the reels. You can probably envisage in your mind an old school type of slot machine, where you need to match three Bell symbols in a row in order to win. This is a slot in its most basic form, and while technological advancements have led to slots changing more than ever before, the core concept remains the same. When playing a slot, you will see that there are a number of symbols on the reels, varying in value. For example, many software providers choose playing card symbols as the lower paying symbols, with game specific icons used as the high-value symbols. This is a fairly broad question, and what may be a great and exciting slot to you, maybe boring and unexciting to another player. Generally, the best online slot games will offer decent win potential – after all, you want to win lots of money – and you’ll also find the best slots are built to run fluidly and smoothly, ensuring that you can avoid any glitches, or lag while playing. 3-Reel Classic Slots: these types of slots are often known as classic slots, and when first released, they used three physical reel sets to display the symbols. Classic slots like this are generally far less popular than video slots – which we look at below – due to the fact that the gameplay isn’t as fun. A classic slot usually requires you to match three symbols in a row, and most offer just one payline, although some do offer as many as 10. You will typically find classic slots in land-based casinos, although a few of the more popular ones have been ported over to online use; just don’t expect to see too many at online slot sites. 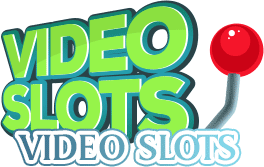 Video slots: by far the most prominent and popular type of slot game available today, video slots don’t use physical reels, instead displaying the outcome of the game via a graphical interface. Each time you press the spin button, a request is sent to the server – or, in other words, the company who manufacture the slot – and they spit back a random number to the casino you’re playing at, which in turn dictates the result of the spin. Due to the fact that a video slot is all graphical based, and includes no physical or mechanical parts, developers have a lot more scope when developing the games, and this enables them to include bonus features, some of which we’ll look at below. Progressive slot: it’s worth pointing out that some slots feature a progressive jackpot, and this increases every time you or another player spins the slot. For example, if you’re betting one dollar per spin, one cent of every dollar you stake may contribute towards the jackpot. This jackpot continues to grow until a lucky player hits the winning combination, and at this point the jackpot is paid out either in full, or in part, dependent on the symbols landed. One of the biggest attraction to those playing slots, is the features, or “bonuses” that it’s possible to trigger while playing. These features are special rounds, where you’re much more likely to hit a big win – and there are a few different types of bonus features, with some of the most commonly-found ones shown below. Free Spins – Free spins are by far the most well-known and popular type of bonus within a slot, and they are usually triggered by landing three, four, or five “scatter symbols” during a spin. (We’ll cover what scatter symbols are later on in this post.) Free spins are, as the name suggests, free of charge, and can contain a number of exciting bonuses, including wilds that stick in position, win-multipliers, and more. “Pick ‘n Click Bonuses” – Perhaps the second most popular type of feature found within a slot, a “Pick Me Bonus” is where you’re taken to a new screen and tasked with picking symbols. These symbols usually reveal cash prizes, multipliers, or, occasionally, you can pick entry to a better, more lucrative bonus. Jackpot Bonus – A moment ago we looked at progressive jackpots, how they work – and a jackpot round is usually where you’ll end up winning the progressive jackpots. To trigger a progressive jackpot bonus, you’ll typically need to land three or more bonus symbols on the reels, where you’ll be taken to some kind of bonus game. Random Bonuses – Some game developers choose to put “random” bonuses into their games, and these are kind of like special events that happen in the middle of a regular spin. Random bonuses can do anything from turning reels wild, to removing the lower-paying symbols from the reels… the possibilities are virtually limitless, and it’s all down to the provide in regard to the type of random bonus they choose to include within their games, if at all. Now, it’s worth pointing out that not all slots contain bonuses or features. If you come across slots that don’t, you’re likely playing what’s known as a high-variance slot. Just because there’s no bonus, however, doesn’t mean it’s not worth playing – some of the best online slot games don’t have bonuses! We’ll cover volatility in the section below. Slot machines are based all around math. It’s the fundamental building bricks of a slot – and it’s by far the biggest part of the slot development process, getting the game’s mathematics right. 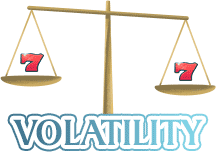 Volatility: Volatility is essentially the ease (or lack of) at which wins are delivered during the game. For example, a high-volatility slot will pay big wins, but very rarely, whereas a low-volatility game would pay regular wins, but of a smaller amount. Aside from the volatility of a game (also referred to as variance), there’s the RTP, which plays a part in determining the pay-outs. Every type of casino game – whether it be casino table games, like Roulette, Blackjack, and Baccarat – or slots, like video slots, or classic slots – features what’s known as an RTP (return-to-player percentage), and this gives a rough indication of how much money a casino can expect to make from a certain game, over a long period of time. Say, for example, you see a slot game with an RTP of 97% (a fairly common percentage). This means that the slot will, on average, pay out £97 for ever £100 staked. So, over the long-run, the casino can expect to profit £3 per £100 staked. Of course, in the short-term, the RTP doesn’t make too much of a difference – and it is very much possible to hit big wins on ANY slot, regardless of the RTP it shows. Playing video slots online couldn’t be easier, and the first thing you need to do is select the type of slot you want to play. Once you’ve found a game you like the look of, you simply need to load it up (either on your PC, laptop, or mobile device), and choose your stake. The stake is the amount of money you spend per spin. Once you’ve selected a stake you’re happy with, you simply click the big “Spin” button, and that’s all there is to it! Some slots also feature what’s known as an “autoplay” feature, where you can set the slot to automatically spin for a set number of spins. This prevents you from having to manually click the spin button every time you want to play, and you can set the autoplay to run from between 10, to 1,000 spins! 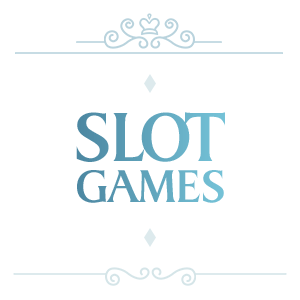 If you’re looking to give slots a go at one of the many slot sites around, then it’s worth taking the time to find one you really like. Most slots sites make this quite easy, as they allow you to categorize the various games on offer, so that you can narrow-down the playing selection. For example, some of the categories you’ll find yourself able to sort the slots by include genre, theme, bonus features, maximum win, jackpot, mobile compatibly, and so forth. Don’t forget, too, that you don’t have to stay on a slot you don’t like. If, after a few spins, you don’t feel as though you’re playing the right game for you, you can simply exit the game and choose another! There’s no requirement to play a certain number of spins or anything like that – so don’t feel as though you have to. It’s always well-worth doing your research on a site before joining. How long has it been in operation for? Do other players give it glowing reviews? How quickly do they process withdrawals? Asking these questions will not only help you find the best site to play video slots, but it will also set you up well for the future, as they’re questions EVERY online gambling fan should ask themselves before joining a specific site. Above all else, however, you want variety, and a good game-range – and that’s something that comes with many of the reputable casinos we recommend. The first thing to bear in mind when playing online slots for real money, is that if you’re playing a progressive jackpot game, you’ll usually want to play the maximum bet possible. This is because most jackpot games offer significantly better odds to those who play at the maximum stakes – so to improve your chances of hitting a jackpot (and potentially becoming a multi-millionaire), make sure to set your bet to max, if your budget allows for it. Another thing to bear in mind, is that you should generally play the maximum number of paylines possible. We’ll cover paylines in the glossary below. Slots can be a little confusing at first – and you may find yourself faced with terms and phrases you’ve not come across before. Below, we’re going to look at some of the most common slot-related terminology you may find when playing online slots for real money. Autoplay: Autoplay allows you to set a slot to spin automatically for a pre-determined number of spins. Bet: The bet amount is the amount you stake per spin. Bonus: A bonus is a special feature inside a slot, that offers you better odds of winning, and more lucrative prizes. Reels: A reel is the strip on which a slot’s symbols appear on. So, a 5-reel slot would mean there were five reels, all with symbols on that you’d try to match in 3-of-a-kind, 4-of-a-kind, or 5-of-a-kind combinations. “Pick Me Bonus”: A “Pick Me Bonus” is a type of bonus feature where you are tasked with selecting your prizes, by clicking on screen. Progressive jackpot: A progressive jackpot is an accumulative jackpot that increases every time the slot is played, continuing until a lucky player is awarded the jackpot. Paylines: Paylines are the ways in which you can win on a slot. For example, classic slots had just one payline – straight across the middle – whereas today’s slots can have 1, 3, 5, 10, 20 – and even as many as 4,096! Wild Symbols: Wild symbols can be found in most slots, and generally speaking, they help substitute for all other symbols within the game, allowing you to make wins a LOT easier. Free Spins: A free spins bonus is where you’re awarded a number of free spins, often packed with exciting features and bonuses. Scatter Symbols: Scatter symbols are special symbols within a game, that you usually need to land if you want to trigger a free-spins, or “Pick Me Bonus” feature. Who are some of the best slot developers? There are hundreds of software providers today, but some of the biggest include Playtech, Microgaming, NetEnt, Quickspin, Big Time Gaming, Novomatic, and Play ‘n Go. Majority of the slot sites that we recommend are powered by these renowned slot developers. So, no matter which you choose, there will always be quality slot games waiting for you. Can I try the games first? Yes. Almost all licensing jurisdictions require that slot games are available in “demo mode”, and this means you can try the slot before playing it with your own, real money. Does my stake affect my chances of winning? In general, no; there is no difference. The only time it can make a difference, is when you’re playing a progressive jackpot, as occasionally jackpots are weighted in favour of higher-staking players. How can I find out how volatile a slot is? Some software providers publish the volatility in their game’s information page, but a lot don’t. The best way, is to play 30 or 40 spins. If you find yourself getting lots of small wins, it’s likely a low-variance game, while the opposite suggests a high-variance slot. What casinos offer the best selection of slots? When it comes to finding the sites with the best selection of slots, the easiest way is simply choosing from our list of recommended casinos. Not only are their selection of slots second-to-none, but you can focus purely on the excitement and fun without worrying about things like safety and fairness as we’ve already carefully vetted these sites to make sure that they completely trustworthy. The best online slots are some of the most thrilling casino games you can play online, and today, players can choose from thousands of the best slot games.